Area Comparison Test requires you to compare the sizes of irregular surfaces. You are to determine which of both surfaces has the larger area. 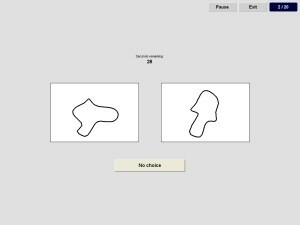 Select the surface you consider larger by mouse click or proceed to next task without making a decision.